This campaign reminds each other about the loss of those teens who have passed because of addictive behavior. Whether the loss was because of alcohol or drug use, anger or fear, self-destruction or misunderstanding, each tragedy reminds it is crucial to offer a safe place for all teens to receive unconditional support. The MPOWRD program, created and edited by teens for high schools and youth support agencies, is a peer support system that can offer help. It is an opportunity for teens to lead meetings, to find a second chance for hope, and to commit to unconditional support. Confidentiality is protected to allow teens to focus on positive change and not their mistakes. Kent… 18 years old was always there for you. 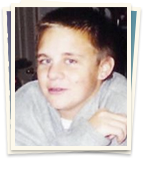 Teen AA is collecting pictures of those teens, whom we have lost because of a bad choice, a habit that was “out of control,” a decision which became fatal. We honor how they lived and what they had to give to this world. We offer our sincere feelings of loss. Although addictive behavior is part of human nature, it can also be self-destructive. You were never a percentage, a number, a statistic. You were our children, our brothers and sisters, our friends. You have taught us that we need to do more.